What if we tell you the easiest and the most effective way to support your fertility health makes it way through your stomach. Believe it or not but the best IVF doctors in India highly recommend to include a fertility diet to boost fertility and to conceive successfully. Not only is a fertility diet good for your reproductive systems but also comes with a lot of benefits for your overall well being as well. Let us discuss them one by one and realise the importance and crucial role a fertility diet plays in our infertility treatments in Delhi. The fertility diet includes unprocessed and fresh food, which are loaded with enzymes. Since enzymes are needed for biochemical reactions happening in the body, it gives a big energy boost. Within a few days of being on a fertility diet, people feel energetic and their libido increases, thus increasing their fertility levels. The fertility diet is enriched with anti oxidants in order to protect eggs and sperm against the free radicals. Processed food, pollution, alcohol, smoke, medications leads to the accumulation of toxins in the body which are extremely harmful to our reproductive system. Including a diet high in antioxidants, helps in detoxification as well as boosts the chances of conception. The fertility diet as discussed above is loaded with antioxidants and is fresh and unprocessed. All this not only ensures a smooth functioning of your reproductive system but also has anti-aging and anti-inflammatory effects providing support to bones, heart, joints and immune system. Toxins from the fertility drugs and therapies need to be flushed out and the fresh fruits and vegetables rich in fibre content helps ingesting rid of them. Along with detoxification of the body, the fertility diet also include essential vitamins, minerals and protein which are needed to ensure a successful preconception and pregnancy. Essential fatty acids like Omega 3-6-9 are crucial for one’s fertility. Including these fats from sources like fish oil, walnuts, olive oil, flax seeds etc. help in regular ovulation and hormonal balance.They are also known to prove fruitful to people suffering with fibroids, ovarian cysts and fibroids. Eliminating food like inorganic food, caffeine, alcohol etc. that triggers your hormonal imbalance is the best that you can do to your body. 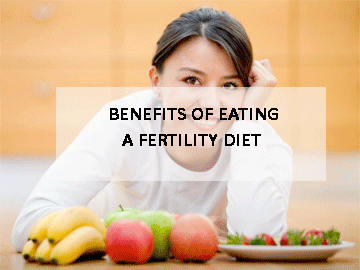 Just with a few changes in your dietary habits, you can enhance your fertility to a great extent. 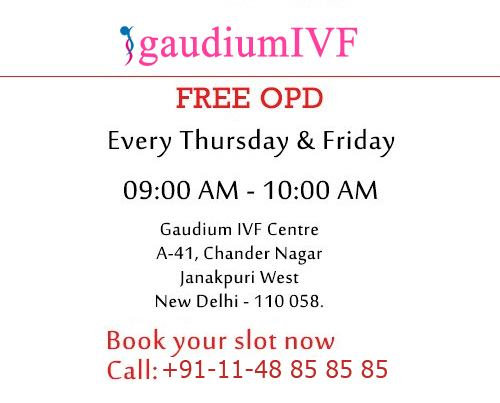 Gaudium IVF Centre, the best IVF centre in Delhi for the best counselling and world class infertility treatments at affordable prices.